← We like insects, snakes, frogs, fields of “tall weeds”! It is easy to see the draw for nature lovers when you first lay eyes on the Lawther-Deer Park Prairie Preserve. It is a large open 51 acre tract of land, populated with all manner of highly visible grasses and plants. Many of those have flowers. The fact that it is nestled in the middle of a very active urban city makes it even more impressive. I made my first real foray onto the prairie after it had been recently cut. There was a 7 acre section of prairie left uncut, to provide a glimpse into what the whole will look like as it grows back. What is not readily evident, are the myriad small critters living within those prairie grasses and plants. You have to stop and look closely to see many of them, since they are camouflaged quite well. My first few steps onto the trail cut through the prairie grass garnered me an interesting subject to photograph. The very first insect I saw was a mantis. I had not seen one in years, so it was certainly a pleasant surprise to be able to photograph one. 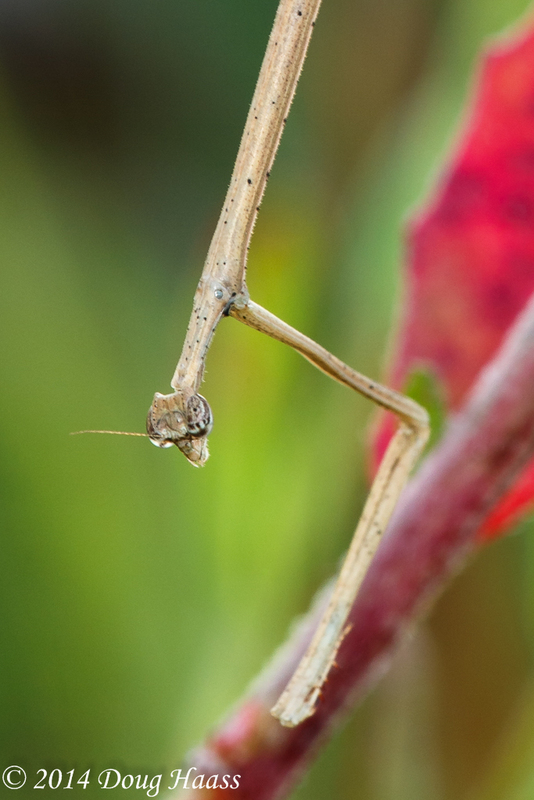 Mantises are comprised of several different types, though they are all very efficient predators of the insect world. It took me some time to finally get an accurate ID on this one, due to its unusual features. The front legs were a slimmed down version of what most mantises look like. 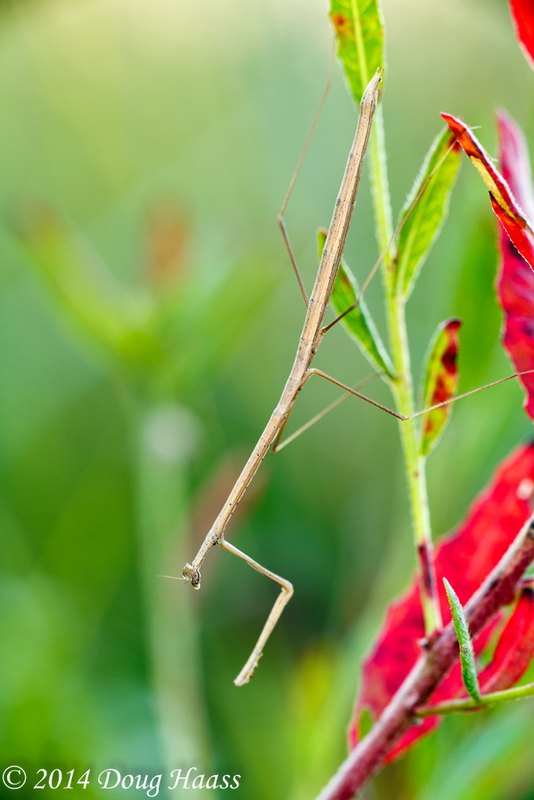 The body also more resembled a walking stick, which is herbivorous (they mostly eat plants and leaves). This one also did not have wings. This is a Slim Mexican Mantis (Bactromantis mexicana) female. They are found in Mexico through southern Arizona, and southernmost Texas. The females are wingless. I really like the eyes, and this one turned to look right at me as I photographed her.